In this paper, a novel cloud-based WBAN health management system is introduced to. This system can be used for people's health information collection, record, storage and transmission, health status monitoring and assessment, health education, telemedicine, and remote health management. Therefore it can provide health management services on-demand timely, appropriately and without boundaries. Liwen He, Jie Li, Weifeng Lu, Jun Huang. "A Cloud-Based WBAN System for Health Management." 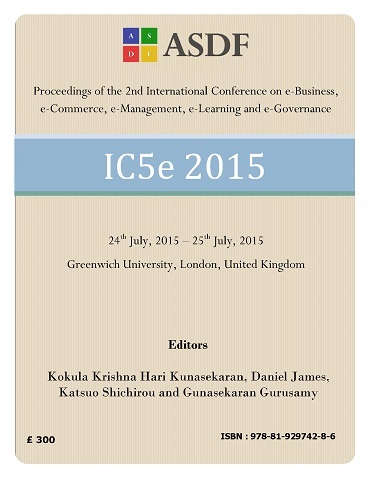 nternational Conference on eBusiness, eCommerce, eManagement, eLearning and eGovernance (2015): 58-67. Print.